TONGA'S road to the World Cup starts at Thomond Park where head coach Toutai Kefu will revive one of the fondest memories of his playing career. The great Australia No.8 was a 22 year-old rookie when the Wallabies produced one of their finest-ever touring performances to beat Munster 55-19 there in 1996. Kefu was a try-scoring man of the match that day in an Australia performance described as ‘just total rugby’ by wing David Campese. Kefu will have plenty of talent at his disposal when Tonga take on the Barbarians in Limerick on Friday, November 10 (7.30pm ). The Barbarians women’s team makes its debut against Munster that afternoon. The likes of Racing's Ben Tameifuna – “He could be the best prop in the world,” said Kefu – Bristol centre Siale Piutau and Gloucester wing Tevita Halaifuna will want to light up the stadium with Tonga's unique brand of physical power and dynamism. "Tongans have got rugby in their DNA,” said Kefu. "They’re generally big, powerful, dynamic and quick guys and play in a way that suits those attributes. "We grow up on the islands and get fed into some of the best programmes in the world in New Zealand and Australia. Having that progress into the national team suits us very well." "We’ve got a lot of young players coming through and those who haven’t yet worn the red jersey. Everything we do will be monitored by the coaches as we move towards picking that World Cup squad. "England are a top side and we’ll keep an eye on them. For us to progress to the knockout stages we need to beat two top teams and it’s going to be a battle for us. "There’s no secret about what we need to do. We’re physical people and that style of game suits us. So we’re going to be direct. We need to be better and quicker and to be able to play with physicality for longer. Discipline and consistency at the set piece need to be better too." 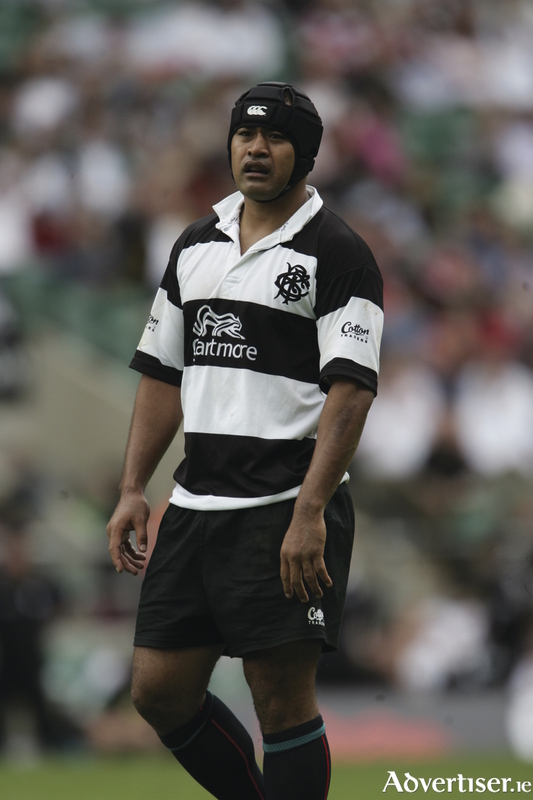 "I played for the Barbarians against England in 2006 and had a fantastic time,” he said. The Barbarians are the world’s most famous rugby club, bringing together great players to play club and international teams since 1890. The Barbarians’ unique style of adventure and enjoyment was encapsulated in the famous win over New Zealand in 1973 — containing arguably the greatest try in rugby history — and its reputation endures today. Since 1948 the Barbarians have played 20 different national teams and in the last decade England, Wales, Scotland, Ireland, New Zealand and South Africa have all been beaten. The club’s charitable arm, the Barbarians Trust, makes donations to good causes around the world.